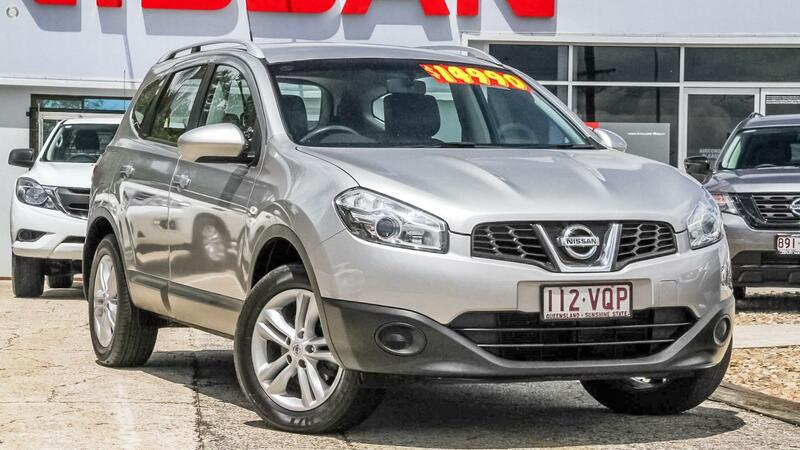 - I am a 2013 Nissan Dualis + 2 6 speed auto 2.0 lt 4 cylinder 2WD. - I have 7 Seats, blue tooth, air con, power pack and camera. - I am a 5 door Wagon with loads of room for the whole family. - I have a full service book and one careful owner. - I have had a 100 point mechanical inspection. - Our friendly consultants can demonstrate the car at your home or office. - Rural, interstate delivery options are available. As part of Australias largest automotive group we can offer vehicles at very competitive pricing, with the peace of mind of an industry leading 3 year mechanical protection plan included in our drive away pricing, along with excellent finance terms and after sales service. - Located 10 mins from Zillmere train station.